The 2018 facelift of Mahindra’s SUV was spotted in a similarly camouflaged avatar earlier this year, and is expected to come in a more refined overall package. 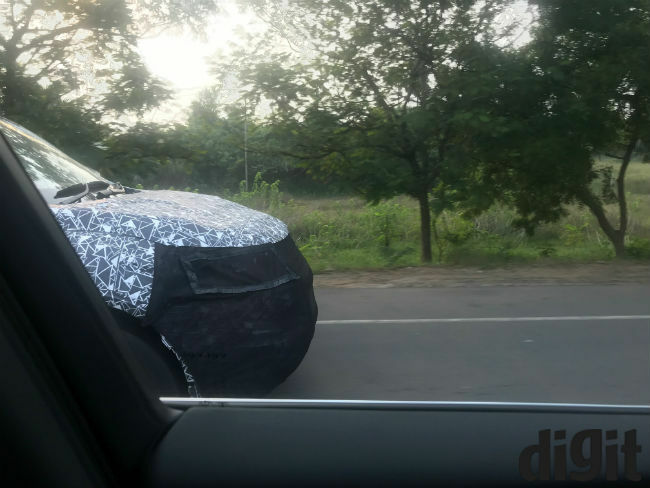 A 2018 avatar of the Mahindra XUV500 has been in the works, and a camouflaged version of the SUV was spotted being tested last month. 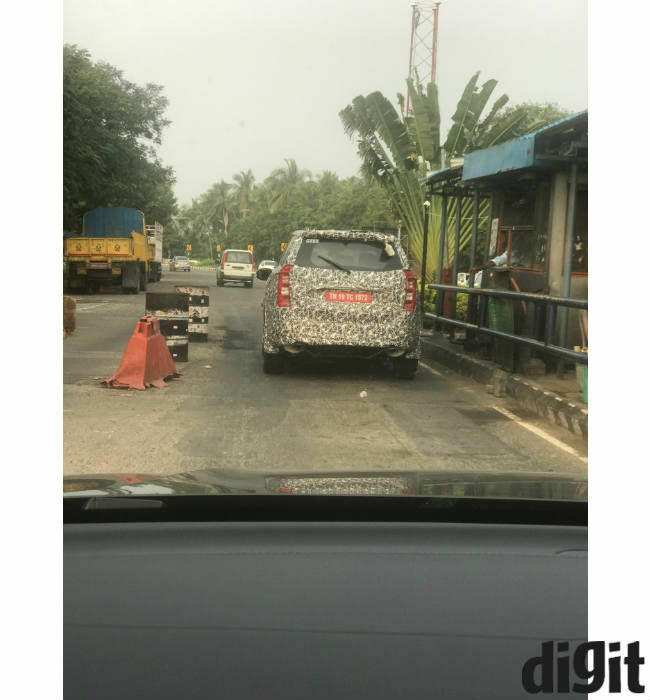 Now, the Mahindra XUV500 has been spotted again in a similarly camouflaged avatar, being put through the paces in Chennai, India. 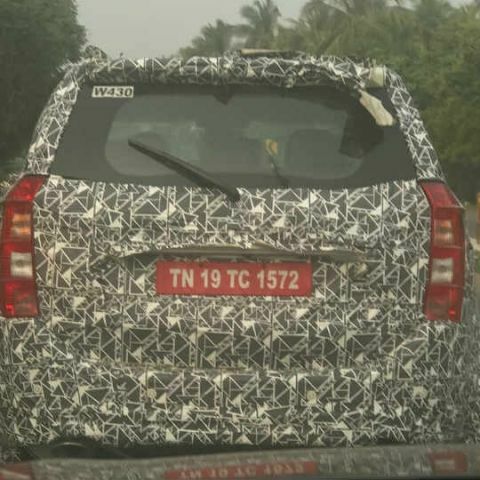 The tail lamps and the overall shape of the rear suggests that the upcoming XUV500 will retain much of the present XUV500’s aesthetics, while the hidden front grille and headlamps suggest a redesigned front fascia. This also falls in line with the previous leak, which showed a new grille design. 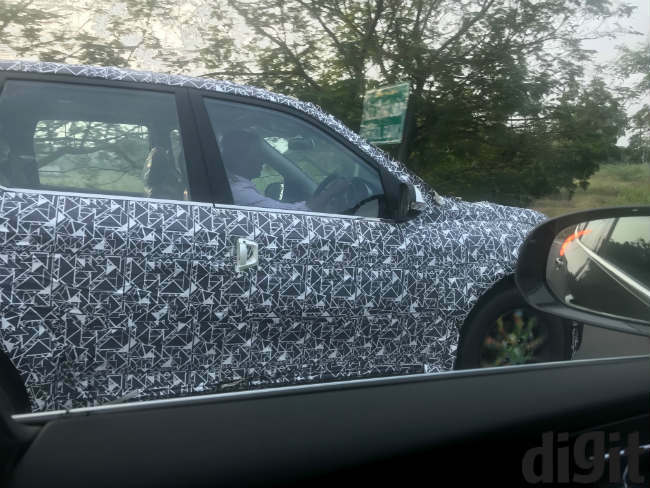 The new XUV500 will also retain the buckle-shaped door handles, and the large two-cluster instrument panel, as seen in the car spotted today. Not much seems to be listed for change on the inside, as the SUV already has a fairly well-equipped technology package. At present, the top-trim Mahindra XUV500 W10 comes with a 7-inch infotainment system inside with Android Auto, an electric sunroof with anti-pinch protection, a tyre pressure monitoring system, keyless entry and ignition, rear parking camera, EcoSense driving dynamics and Mahindra Connected Apps, which syncs with connected smartphones to provide additional services. Mahindra has already confirmed that it is working on a new, more powerful 2.2-litre diesel engine, expected to produce about 170bhp and be paired to a six-speed automatic gearbox. The new engine may debut in the 2018 XUV500, the launch of which may not be too far away. The new generation XUV500’s minor facelift may work to keep the SUV fresh amid hot competition from the likes of Jeep Compass, Tata Hexa and Renault Captur, while the new engine may be slotted in to improve the powertrain and driving dynamics. Which is the best Software TESTING tool available in marketplace?